There have been about a dozen events already including 60×60 Dance – “Order of Magnitude Mix” that happened this weekend at McGill University. Many others are upcoming, such as the presentations associated with ICMC 2010 at the Electronic Music Foundation Creative Resource Center (today and tomorrow, June 2 and 3) and Stony Brook University (June 3-5). 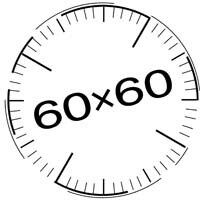 Here’s a list of all six 60×60 mixes and every composer represented.